Interested in Classic Debit Card? Don’t forget to submit a form so we can contact you. Worldwide Acceptance: Your Ahlibank Classic Debit Card is accepted at NAPS, GCC Net and over 1 million Visa ATMs and over 24 million merchant outlets across the world, including departmental stores, restaurants, travel agents and cinemas. 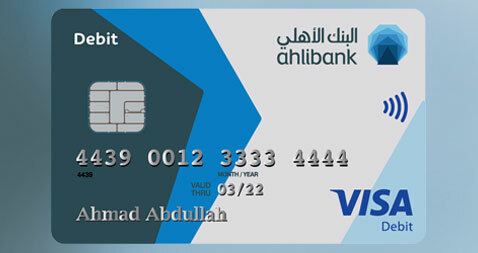 All the transactions made with your Ahlibank Classic Debit Card will appear on your bank account statement(s).